TRENTON, New Jersey -- New Jersey education officials said Thursday 21 school districts have reported elevated levels of lead in drinking water. The Department of Education publicized the number during a hearing with lawmakers as part of the Legislature's ongoing probe into water infrastructure in the state. Education Department documents do not indicate which school districts are affected. Schools have until July to complete the testing. It's unclear how many of the nearly 800 schools and centers covered by the requirement have completed testing. Under current regulations, schools are required to provide safe drinking water and must notify parents and guardians of elevated levels. 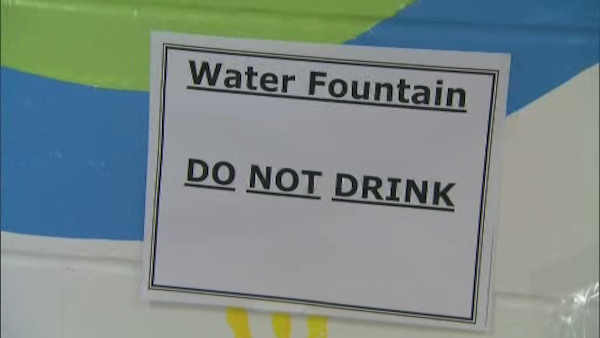 The Education Department says it's following the U.S. Environmental Protection Agency's program for reducing lead in drinking water at schools, which stresses training, testing and notifying the public. The department says it registered 1,000 people for a three-day training session in September along with providing online training videos and guidance materials. The announcement comes after Republican Gov. Chris Christie sought and the Democrat-led Legislature approved $10 million last year for lead testing. At the time, Christie cautioned lawmakers about overreacting to news that elevated lead levels had been found in half of the school buildings in Newark, the state's biggest city. The state has since gotten a better idea now of how much testing would cost, he said. The governor also had announced an additional $10 million from existing funds in last year's budget to be used to remove lead-based paint for low- and middle-income families. That decision followed pressure from lawmakers to bulk up a dormant fund aimed at remediating homes with lead paint. Christie last year cited data that show screenings for lead in children have gone from about 10,000 in 1998 to roughly 206,000 in 2015, while the number of children with elevated blood levels dropped from 1,481 in 1998 to 898 in 2015.